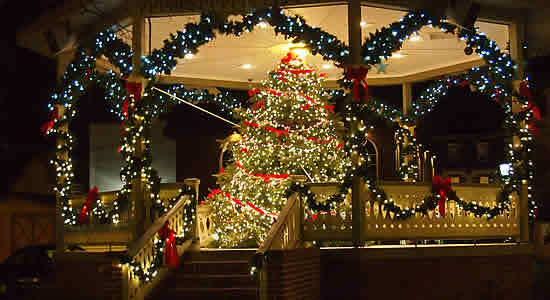 Cape May Deck’s the Halls! It seems like only yesterday Cape May’s visitors (and locals!) were basking in the sun and humming along to the heat and hype of the summer season. But time moves along swiftly, bringing the commencement of another season…the holidays! The air is crisp, daylight fleeting, and beaches peacefully desolate. Cape May, however, is bustling! That’s because we are giving thanks, decking the halls, trimming the trees, and preparing for the magical moments of another holiday season. We hope that you are as excited as we are for this most wonderful time of the year! Cape May is humbled to report that we have been selected as one of “America’s Best Towns for the Holidays” by Travel + Leisure magazine. 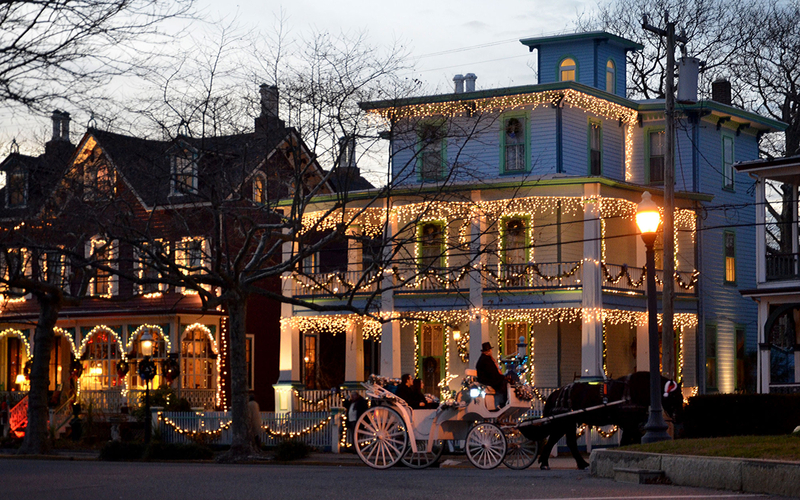 The historic Victorian architecture of our beautiful little city by the sea lends itself perfectly to Christmas décor. Residence and business owners alike are busy enjoying the clear days of late fall by draping their properties in twinkling lights, aromatic greenery, ornamental wreaths, and so much more. It’s truly a site to behold! Visit Cape May this weekend and you will see that there are many among us who simply can’t wait to flip the switch on those lights…and who could blame them! 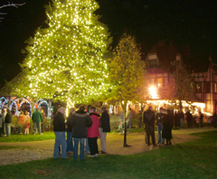 In fact one of the grandest homes in town, the historic Physick estate, will feature its annual tree lighting ceremony on Saturday, November 21st at 7:00 p.m. This is all part of Cape May’s Holiday Preview Weekend, which will feature events about town exhibiting all of the characteristics of an old fashioned Christmas. Food, fun, festive décor, and so much more! As for the tree lighting, be sure to bring the entire family, as there is rumored to be an appearance by a certain someone in a big red suit…but that’s all we know! While the Christmas hype is in full swing, we certainly don’t forget that the season begins with Thanksgiving, this Thursday, November 26th. 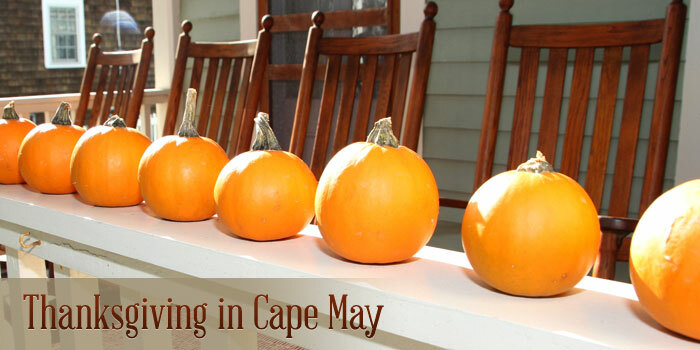 It’s a wonderful time to be in town and experience Cape May’s finest restaurants…many of which are open for the Holiday weekend. Make your reservations now! Speaking of reservations…take some time NOW to begin thinking about your summer vacation. We’re sure many of you have traditional shopping plans in place for Thanksgiving weekend. We’re also sure you all have that one person (or more!) on your list that leaves you completely stumped when it comes to considering the perfect gift. We’ve been there too! And we believe one of the most joyous aspects of the holidays is surprising those we love with something unexpected and unique…something they will always remember and cherish. Well…what if that something was a Cape May vacation or weekend getaway? Go “shopping” on our vacation rental website where you will find homes to suit everyone from couples, to large/multiple families, to pet lovers. Don’t forget your linens either! You want to be sure and give the full Homestead experience! So you see, when you think of Cape May, look beyond the beach and the summer. Come experience us over for the holidays and sample what we have to offer. You’ll be glad you did, and you’ll be back! From all of us here at Homestead, Happy Thanksgiving! And remember, we are thankful for YOU. Enjoy the holiday and the ensuing season to follow…and we hope to talk to you soon! Previous Previous post: “Fall Back” to Fun! 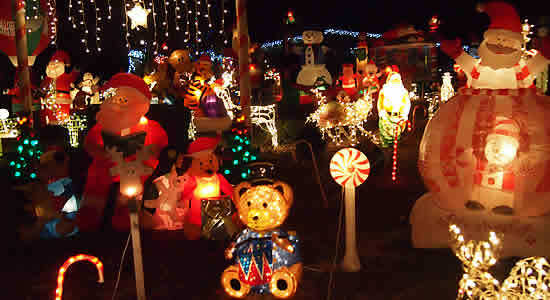 Next Next post: Christmastime is Here!